I recently read an interesting survey made by the Gallup organization titled, “Obsolete Annual Reviews: Gallup’s Advice” (Sep 28, 2015), which studied how cognizant workers are of their assigned duties and responsibilities. Interestingly, they found only 50% really understood this. The rest only had a mild interpretation or no idea at all. Gallup’s study was based on 50 organizations and 2.2 million employees. In addition to employees, managers also were not sure of their worker’s duties. This may help explain why companies are lagging in productivity. The Gallup report contends productivity gains of 5% to 10% can be realized simply by having workers understand their roles. In addition to the fundamental duties and responsibilities of an employee, it is not uncommon for workers to misunderstand their various project assignments. Consequently time and money is lost as employees try to delineate their responsibilities, including their relationship with co-workers. 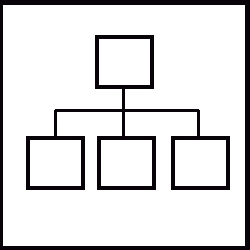 In this day and age, it is hard to imagine a company without such things as organization charts, job descriptions, and employee handbooks (aka, Policy Manuals), but evidently there are still companies not using this documentation. There are also those institutions who develop job descriptions so generically, employees are at a complete loss as to what they mean. Employee performance reviews should also be performed regularly, be it annually, bi-annually, or whatever. This allows the manager and the employee to review the worker’s performance, clarify their responsibilities, and make corrections as required. Finally, priority lists are useful for communicating to workers the precedent of job assignments thereby encouraging workers to row on the same oar. It is not unusual for some companies, who make use of such documents, often find employees ignore them, as they do not want to feel encumbered or restrained, preferring instead to be unfettered and uninhibited. Of course, this is a reckless form of management and does not promote teamwork where everyone knows what their responsibilities are and how to work together. Aside from these regular documents, it is also wise to define the methodologies of the business, representing the work breakdown structures and sequencing of work. Perhaps the best known methodology is the Assembly Line whereby products are mass produced by assembling components in a specific sequence. There is little point in having an assembly line if the workers do not understand what their duties and responsibilities are on the line; it will simply be counterproductive. Instead, each person in a methodology should know “Who,” is to perform “What” task, “When,” “Where,” “Why,” and “How” (aka, the “5-W’s + H”). In addition to specifying how work is to be performed, thereby improving productivity, defined methodologies are useful for improving the quality of products by specifying the acceptance criteria for each stage within the assembly. Methodologies overcome the classic problem of, “If you do not know where you are going, any road will take you there.” They define assignments, responsibilities, and provides direction for projects. The Gallup study is startling, and hints at a basic management flaw in business. I see these forms of documentation as fundamental to the running of any business. As the study suggests, people want to know their duties and responsibilities, feeling insecure without such knowledge. As I have touted on more than one occasion, workers want to lead a worthy life, they want to believe what they are doing has purpose and meaning. This can only be achieved by communicating what is expected of them. Without it, they will flail away on project assignments, inevitably performing the wrong tasks and producing the wrong work products. They may be efficient workers, but if they are performing the wrong tasks in the wrong sequence, they will be counterproductive. I am certainly not a proponent of Theory X “micromanagement,” however, the manager’s mantra should be “never let it be said, a worker doesn’t understand his/her responsibilities.” It should be considered an inherent part of any management program. My first job out of college I held for 8.5 years. My second job for just over a year and I’ve been in job #3 for about 7 months now. What I’ve experienced at jobs 2 & 3 is that what I hired in to do (the job description) is not what I’m doing. My job responsibilities “matured” as the position went along so my objectives on day 1 do not match objectives 60 days later. My first job – my objectives were very well set up and laid out for 2 years…but that company hired new grads to do a specific job. After that my objectives were either so vague and broad as to not be helpful or shifted every time a project/client change happened that all I was ever concerned about was working on the immediate, short-term objective. Anyway: productivity is low because we don’t know what productivity is. I’m constantly busy but constantly failing to reach the original objective because it stops being important after a few weeks. Knee-jerk reactions to issues/problems/anticipated reaction rearranges the priorities of everything so even having a documented set of responsibilities doesn’t mean that’s what gets followed by management when they are pressured to make things happen.